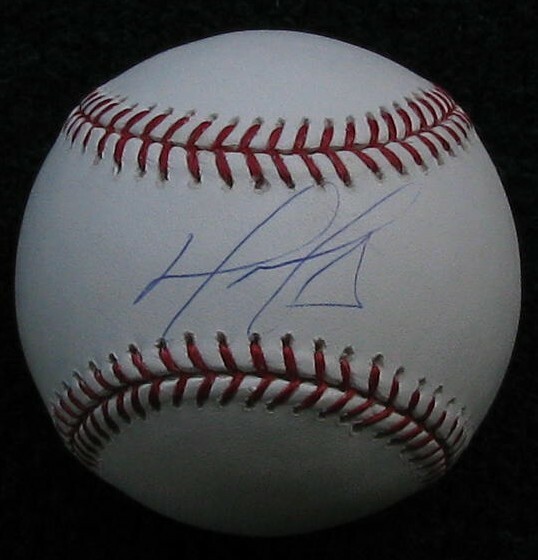 Here is a signed David Ortiz baseball. 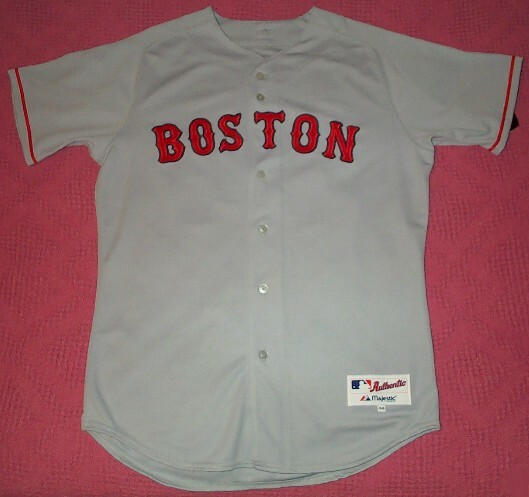 David was on the 2004, 2007 and 2013 Boston Red Sox World Series winning teams. 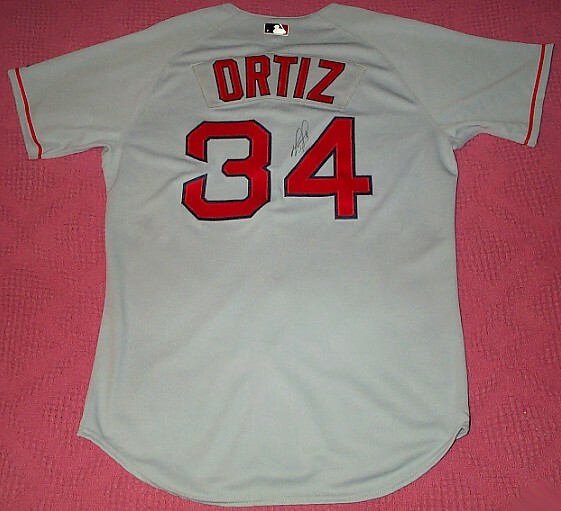 Here is a David Ortiz autographed game jersey. Although Big Papi is such a big guy, his autograph is rather small. You can barely make out the #34. Here is a closeup of the aotograph. Here is a look at the front of the away jersey. 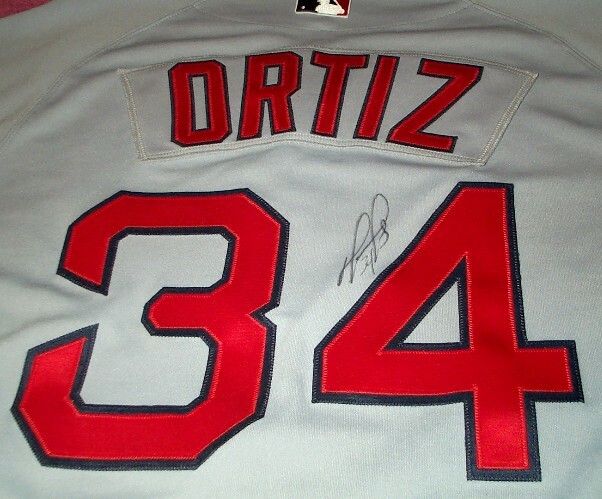 Here is another Ortiz jersey from 2007. For whatever reason Bobby Kielty signed it too. Here is a look at the front. 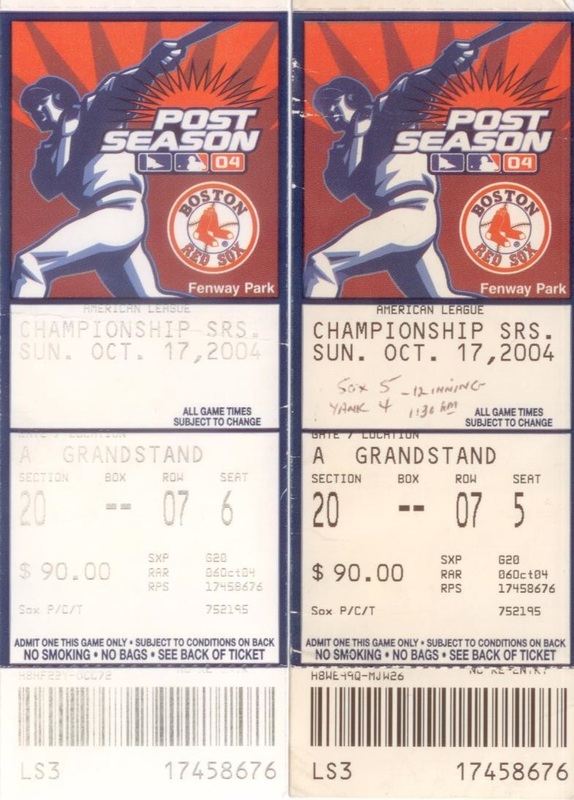 I was fortunate enough to see Game 4 of the 2004 ALCS at Fenway Park. It is quite possibly the greatest game in Red Sox history. Here is a picture of my ticket and my brother in-law Macey's ticket.